Sécurité Landry.com tries to insure the protection of the information transmitted through the internet as well as respecting privacy and thus, rigorously controls the way by which personal information is used and transmitted. The present Declaration of Confidentiality details the protection policy related to personal data from Sécurité Landry.com. By using the Sécurité Landry.com site, you accept to comply with the practices detailed in this Declaration of Confidentiality and Security. It may be offered to save information that you have already entered on some sites like Sécurité Landry.com if you use the same identity. You will have the choice to accept the process or not. The information that is gathered by Sécurité Landry.com on you is confidential and shall solely be shared on Sécurité Landry.com, which allow Sécurité Landry.com to open an account in your name, process your orders, to contact you in the event you have won a contest, to customize its relationship with you and, if you agree, to occasionally send you information about the Site and its products according to your preferences. Sécurité Landry.com wish to specify that its advertisers will not at any time be allowed to access your confidential information. Furthermore, Sécurité Landry.com does not sell user lists. You have the choice to no longer receive information pertaining to Sécurité Landry.com by specifying under the section My Profile in your account. Only those employees or representatives dully authorised by Sécurité Landry.com can access your information, but solely has governed by their position. Sécurité Landry.com has implemented state-of-the-art security measures in order to protect you against loss or unauthorised use of customer information that is in Sécurité Landry.com ‘s possession, notably information concerning your credit card. Sécurité Landry.com ‘s servers use the latest information-transmission technology (Secure Socket Layers, or SSL), which render its transmission highly secure. In addition, Sécurité Landry.com servers are protected by firewall technology. Sécurité Landry.com ensures its hardware is always state-of-the-art in order to allow you to perform secure transactions on the Site at any time. However, no security mechanism is perfect and you must be aware that you are always at some level of risk that personal information transmitted to Sécurité Landry.com may be disclosed without fault on the part of Sécurité Landry.com and without your consent. Sécurité Landry.com declines all responsibility regarding forwarded confidential information, except in case of negligence on the part of Sécurité Landry.com. If you are concerned about confidentiality, related to the use of your credit card on the Internet, Sécurité Landry.com invites you to submit your order by telephone. Sécurité Landry.com reserves the right to modify this policy at any time. Sécurité Landry.com also reserves the right to transmit personal information about you to the extent Sécurité Landry.com must do so under the law or so as to protect the copyright of the site or those of its users, partners or suppliers. From the My Account page, you can at any time validate or modify your personal information; these procedures may also be completed by directly contacting the customer service desk for a boutique associated with Sécurité Landry.com. However, if you wish to have yourself removed from Sécurité Landry.com’s list of customers, you must contact Sécurité Landry.com. Sécurité Landry.com does not guarantee the efficiency, or total security. It is possible that a hacker manages to penetrate the server. It is thus important that you keep in mind before USING YOUR IDENTITY TO BROWSE THE SITE OR COMPLETE TRANSACTIONS on Sécurité Landry.com that a malicious person may access the servers on Sécurité Landry.com site and use the information about you or any other person on the site to his or her own end. IN NO CASE will Sécurité Landry.com and its administrators be held accountable for acts of computer piracy, nor be blamed for whatever damage or lost associated with the site.  Sécurité Landry.com may have occasional outages and programming errors may be provoked by updates or events independent of the will of the administrators. No administrator or member of the organization can be held accountable if a member is unable to browse through Sécurité Landry.com, regardless of the reason preventing such activity from taking place (misunderstanding, defective telephone line, modem incompatibility, broken cable, bad configuration, wrong browser, etc.). Sécurité Landry.com includes links to external web sites. When you click on these links, you leave the Sécurité Landry.com Site. Any personal information that you transmit through these sites is subject to the personal information protection policies of each of these sites. We recommend that you pay careful attention to the personal information protection policies of these sites.